In order to schedule a query, a user must have an appropriate role associated with their account such that they are granted access to the Visual Analytics Query builder in the main hub screen (as shown by the ‘Create Data Query’ option. 1) Build a desired query in Query Builder. 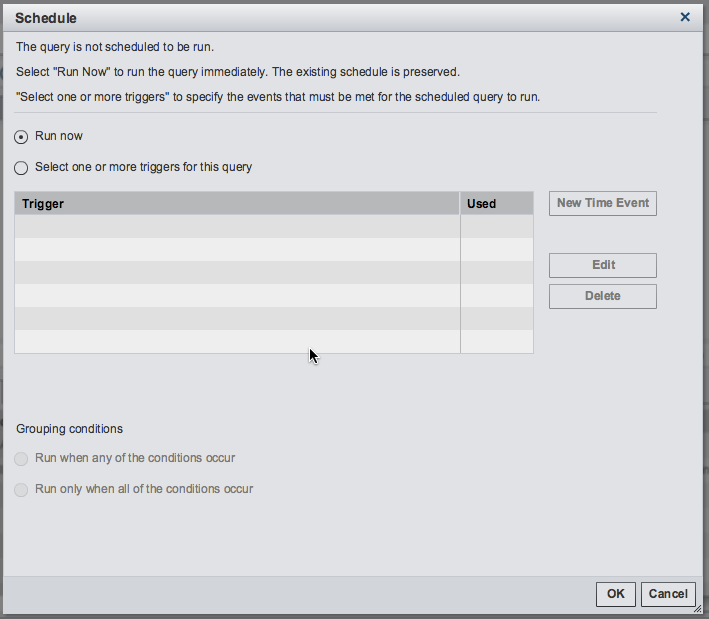 2) When finished, click on the ‘Schedule Query’ button. 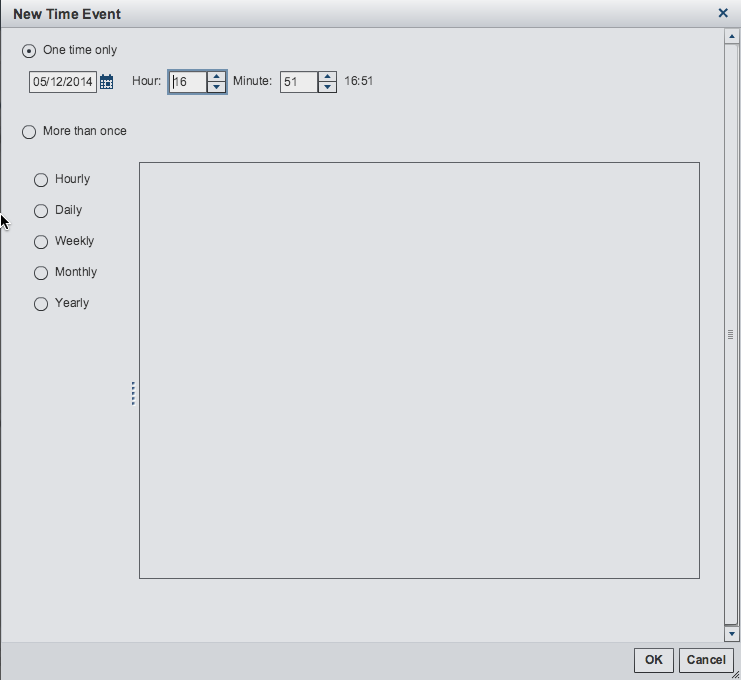 3) The Schedule screen is then displayed which allows the user to choose whether the query should run immediately or when triggered by an event (such as a time). Click ‘New Time Event’. 5) When the appropriate time is input, press ‘OK’ to be notified that your query has been successfully scheduled.